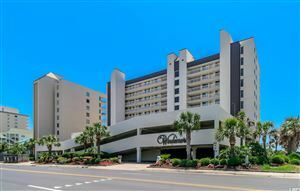 North Myrtle Beach, South Carolina, with its miles of beautiful beaches and more than 100 world-class championship golf courses, offers a very coveted lifestyle. And, the Crescent Beach community, situated in the far north east region of South Carolina in Horry County along the sun-kissed shores of the Grand Strand, is flanked by the Atlantic Ocean and the Intracoastal Waterway. With natural beauty, an ocean front location, and recreational opportunities, Crescent Beach offers oceanfront as well as ocean access condominiums, townhouses, and beach homes for seasonal vacationing and year-round living. The current Horry County real estate market is brisk with buyers clamoring for upscale properties as well as affordable properties. Plus, new properties are being developed and sold out within short time periods. 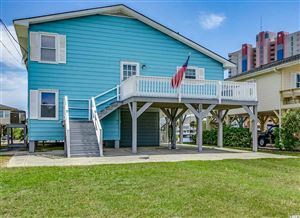 Condominiums, bungalows and large homes are available in the Crescent Beach community of North Myrtle Beach. With the recent additions of Veterans Highway, Highway 22, and the Carolina Bays Parkway, Highway 31, the inland countryside and coastal areas are suddenly joined as never before. Traveling to and from beach areas has never been easier. As a result of the expanded road system, the availability of properties close to the beach at reasonable prices is presenting new opportunities for investors and prospective residents alike. Attractions like Barefoot Landing, with a variety of shops, restaurants and attractions such as, Alabama Theater, House of Blues and Alligator Adventure are within a few minutes from the sandy shores of Crescent Beach. RE/MAX Southern Shores knows the Crescent Beach real estate market! If you are considering relocating, purchasing a primary, second home or condo, or investing in property, we invite you to explore the RE/MAX Southern Shores web site "Communities Served" tab to find the perfect Myrtle Beach community for you! Our agents are ready to help you make your Crescent Beach real estate dreams come true! Call 843-839-0200 to talk with a RE/MAX Southern Shores agent right now!